Audi and Mercedes are vying for attention at the Frankfurt Auto Show with their DTM racecars. German NASCAR aka Deutsche Tourenwagen Masters (DTM) isn&apos;t such a popular racing series in the U.S. but its racecars are pretty awesome compared to our Car of Tomorrow. The new racing series kicks off in a few months and companies are bringing out their new models at Germany&apos;s premier auto event. Audi and Mercedes have both released their new DTM racing cars, the former in sketch form while the latter received a grand entrance from Nico Rosberg and racing legend Michael Schumacher. 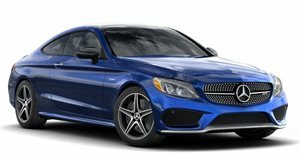 The Mercedes-Benz AMG C-Coupe features a carbon fiber monocoque that supports a high-strength rollcage and energy-absorbing crash structures. These two additions help protect the driver enormously in case they should find themselves in a sticky situation. It runs on a 500hp 4-liter V8 engine that is coupled to a paddle-shifted, pneumatically operated sequential 6-speed transmission. Audi&apos;s A5 Coupe was released in sketch form and from the photos the German automaker has released, it will look great and run fast. Dubbed the R17, the A5 will follow up the highly successful A4 DTM that won four titles since 2004. The A5 is also equipped with a strong carbon-fiber monocoque that was combined with a steel tube cage. It is less powerful than the Mercedes C-Coupe getting only 460hp out of the A4&apos;s V8 engine. The motor is paired to their current six-speed transmission. Mercedes is the old stalwart of the DTM racing series with 84 victories out of 156 races including 5 driver&apos;s titles. 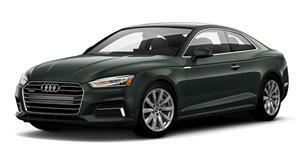 Audi is trying to win some serious recognition with their latest offering as the preeminent competitor in Germany. The DTM league serves as a stepping stone of sorts for Le Mans and open wheel racing drivers. The season generally runs May through October.